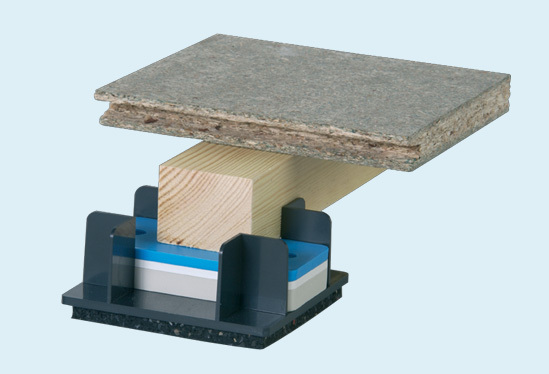 Combining the proven superior acoustic performance of the Danskin Saddle System with water based underfloor heating systems, the Danskin Thermal Saddle System can provide support for rigid insulation emitter panels ensuring direct contact with the underside of the flooring deck, enhancing the efficiency of the heating system. 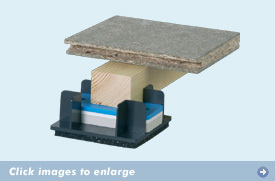 Insulation panels can be precut to batten centres. 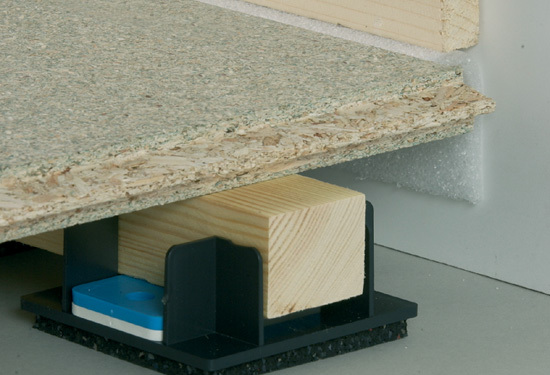 The Building Regulations require that separating floors achieve stringent sound insulation performance standards. Danskin Thermal Saddle systems are proven to contribute toward meeting the acoustic performance criteria in conjunction with a suitable structural floor and ceiling treatment. 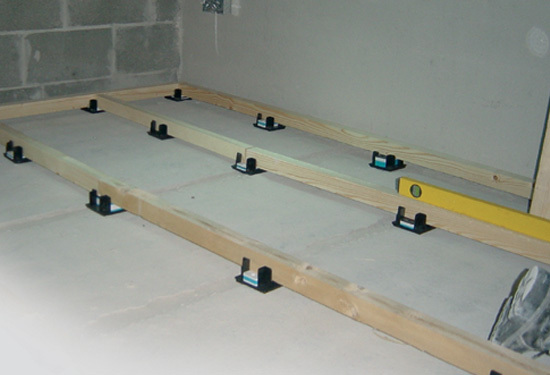 By utilising the floating floor void to install the underfloor heating system wall space is maximised within each dwelling. No need to plan around radiators! 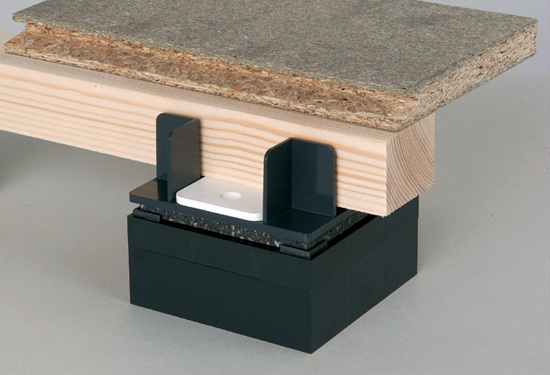 The Danskin Thermal Saddle System has been used successfully with both OSMA and Nu Heat underfloor heating products. It is essential to check that underfloor heating products are compatible with the Danskin system and the desired floor finish. Please contact Danskin for further information.